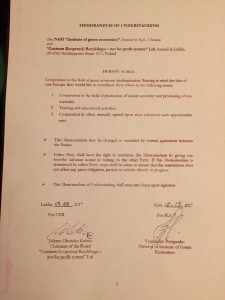 “Influence of a visa-free regime on the formation of ecological consciousness and green values” at the round table “Influence of visa-free regime on the spiritual renewal of Ukraine” 05.07.2017. The construction of a garbage processing plant is not a problem and the budget of a large city is within its power. 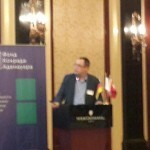 The political scientist, the director of the Institute of Green Economics Vyacheslav Potapenko, told the “Journalist”. There is still time to avoid the worst impacts of climate change, if we take strong action now. The scientific evidence is now overwhelming: climate change is a serious global threat, and it demands an urgent global response. This Review has assessed a wide range of evidence on the impacts of climate change and on the economic costs, and has used a number of different techniques to assess costs and risks. From all of these perspectives, the evidence gathered by the Review leads to a simple conclusion: the benefits of strong and early action far outweigh the economic costs of not acting. Climate change will affect the basic elements of life for people around the world – access to water, food production, health, and the environment. Hundreds of millions of people could suffer hunger, water shortages and coastal flooding as the world warms. Using the results from formal economic models, the Review estimates that if we don’t act, the overall costs and risks of climate change will be equivalent to losing at least 5% of global GDP each year, now and forever. If a wider range of risks and impacts is taken into account, the estimates of damage could rise to 20% of GDP or more. In contrast, the costs of action – reducing greenhouse gas emissions to avoid the worst impacts of climate change – can be limited to around 1% of global GDP each year. The investment that takes place in the next 10-20 years will have a profound effect on the climate in the second half of this century and in the next. Our actions now and over the coming decades could create risks of major disruption to economic and social activity, on a scale similar to those associated with the great wars and the economic depression of the first half of the 20th century. And it will be difficult or impossible to reverse these changes. So prompt and strong action is clearly warranted. Because climate change is a global problem, the response to it must be international. It must be based on a shared vision of long-term goals and agreement on frameworks that will accelerate action over the next decade, and it must build on mutually reinforcing approaches at national, regional and international level. Climate change could have very serious impacts on growth and development. If no action is taken to reduce emissions, the concentration of greenhouse gases in the atmosphere could reach double its pre-industrial level as early as 2035, virtually committing us to a global average temperature rise of over 2°C. In the longer term, there would be more than a 50% chance that the temperature rise would exceed 5°C. This rise would be very dangerous indeed; it is equivalent to the change in average temperatures from the last ice age to today. Such a radical change in the physical geography of the world must lead to major changes in the human geography – where people live and how they live their lives. Even at more moderate levels of warming, all the evidence – from detailed studies of regional and sectoral impacts of changing weather patterns through to economic on world output, on human life and on the environment. All countries will be affected. The most vulnerable – the poorest countries and populations – will suffer earliest and most, even though they have contributed least to the causes of climate change. The costs of extreme weather, including floods, droughts and storms, are already rising, including for rich countries. societies and economies from its impacts to some extent – for example, by providing better information, improved planning and more climate-resilient crops and infrastructure. Adaptation will cost tens of billions of dollars a year in developing countries alone, and will put still further pressure on already scarce resources. Adaptation efforts, particularly in developing countries, should be accelerated. The costs of stabilising the climate are significant but manageable; delay would be dangerous and much more costly. The risks of the worst impacts of climate change can be substantially reduced if greenhouse gas levels in the atmosphere can be stabilised between 450 and 550ppm CO2 equivalent (CO2e). The current level is 430ppm CO2e today, and it is rising at more than 2ppm each year. Stabilisation in this range would require emissions to be at least 25% below current levels by 2050, and perhaps much more. Ultimately, stabilisation – at whatever level – requires that annual emissions be brought down to more than 80% below current levels. This is a major challenge, but sustained long-term action can achieve it at costs that are low in comparison to the risks of inaction. Central estimates of the annual costs of achieving stabilisation between 500 and 550ppm CO2e are around 1% of global GDP, if we start to take strong action now. Costs could be even lower than that if there are major gains in efficiency, or if the strong co-benefits, for example from reduced air pollution, are measured. Costs will be higher if innovation in low-carbon technologies is slower than expected, or if policy-makers fail to make the most of economic instruments that allow emissions to be reduced whenever, wherever and however it is cheapest to do so. It would already be very difficult and costly to aim to stabilise at 450ppm CO2e. If we delay, the opportunity to stabilise at 500-550ppm CO2e may slip away. Action on climate change is required across all countries, and it need not cap the aspirations for growth of rich or poor countries. support action on the scale required. Institute of Green Economy signed a memorandum of cooperation with the Polish organization “Centrum Kooperacji Recyklingu” Ltd for joint work in the green economy modernization. 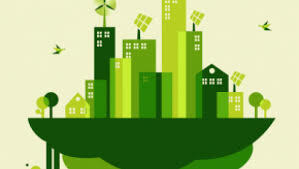 Green modernization is a system of interrelated activities and results of the implementation of plans, policies, programs focused on the development of technologies, processes and types of productive activity, which is economical for the environment, safe for humans and effective for the economy. 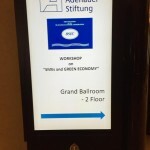 The legal framework of green modernization and development needs to be improved on the basis of efficiency, which is related to the definition of concrete steps and measures to intensify the implementation of technologies and tools that enable the transition to green growth and create specific conditions for the implementation of green economy, such as: institutional, organizational, financial credit, regulatory, etc. – Implementation of “green office” in government and budgetary enterprises by Cabinet of Ministers of Ukraine. – Simplify the procedure of environmental control and licensing for companies that implement green technologies. – Simplify the tax burden and streamline the regulatory development of renewable energy and the introduction of “green tariff” for citizens, regardless of place of residence. – Implementation of environmental labeling. – Implementation of public-private partnerships for the organization and operation of environmental monitoring. – Elaborate and adopt a set of regulatory guidelines and methodological recommendations on SEA and SEA coordination procedures with the applicable national law. Experts from the Institute of Green Economy and Support Program “green” modernization of the Ukrainian economy GIZ survey was conducted among 30 companies from Kyiv, and also Dnipropetrovsk, Sumy, Volyn, Rivne and Chernivtsi regions. It was also involved previous 6 profiles, in total 36 companies. The first set of questions examines the awareness of companies about “green” modernization of the business. Almost 40% of enterprises (14 companies) do not have enough information on how to make their business more environmentally friendly. The most informative source of knowledge about green upgrades were identified the local authorities, public and international organizations. Each third receives information from these institutions. Government agencies, private banks and chambers of commerce have less demand, their advice using 2 firms (12%). Almost all polled firms (33 firms, 91.6%) believe that getting informational consultations about “green” economic modernization would help them to develop their business. The second set of questions relates to permits for resource use, waste disposal, emissions into the atmosphere. In percentage permits for resource use, waste disposal, air emissions have less than one third of respondents, namely 10 firms (27.8%). According to this information, we can conclude that the state system is imperfect, because 7 out of 10 organizations had trouble in obtaining the documentation. In addition, according to statistics, the state has problems with regulatory bodies, as two-thirds of companies do not have any permission. The third set of questions includes questions of energy efficiency of company. From 36 companies, 29 gave a positive answer to a question about energy efficiency. The most popular measure was the room thermal insulation, and replacing or upgrading equipment placed second. The fastest growing segment is lighting – 8 companies, 22% of all projects related to the replacement of lighting equipment for energy efficient and measures to control lighting. The fourth set of questions related to alternative and renewable energy sources, only4 firms, 11% of companies are using at the enterprise alternative or \ and renewable energy. The fifth set of questions – economy of natural resources. This question engaged by nearly two-thirds of organizations. These are: minimizing waste and recycling (17 firms, 47%), cost of raw materials (14 firms, 39%) and water (10 firms, 28%). The sixth set of questions connected with the introduction of environmental management and green production. About a third of companies has implemented an environmental management system at the enterprise: 10 companies, 34% to improve the company’s reputation; 8 companies, 26% due to customers’ requirements and 7 companies, 24% to improve the efficiency and competitiveness of the company. The main reasons that led enterprises to produce\offer environmental goods and services – is the foundation of their business (12 firms, 37.5%) of the companies producing environmental products for the company’s image (8 firms, 25%) and to increase the competitiveness of the market (7 firms, 21.9%). The survey showed that only two firms (which is 5.6%) had the experience of receiving concessional financing or investments for “green” upgrades. The first one entered from state agencies, another from an international organization. Lack of experience and skills in implementing environmental management systems. Major costs for financing the production of environmental goods and services. This research is important as Ukrainian and EU indicators of green economics development have to be harmonized according to The Ukraine–European Union Association Agreement. The second reason is the improvement of indicators of the environmental policy for SMEs green modernization. The main problem is the destruction of soviet system data collection about brown economy development and necessity of creation of a new system of indicators of green economy that is harmonized with EU, UN, OECD methodology of data collection. The author of the research methodology presupposes the comparison of Ukrainian indicators of green economy development and the indicators used by UNECE, EEA OECD Sustainable Development Goals UN UNEP, extracting the similar and harmonized with Ukrainian legislative data. The key findings of the researcher are suggested 16 Ukrainian indicators of green economy development harmonized with EU and other international indicators. The 16 indicators of green economics development were suggested for the Ministry of Environmental Protection and Natural Resources of Ukraine as a part of the governmental environmental policy assessment system. We hope that indicators implementation will be supported by green modernization of SMEs. 1. The basis is a list of goals and objectives of the environmental policy of the draft amendments to the Law of Ukraine On the Basic Principles (strategy) of environmental policy. These goals and objectives are analyzed, first of all in terms of the draft of the National Action Plan on Environmental Protection for 2016-2020 years and indicators of environmental policies that have been adopted in the Law on Basic Principles (strategy) of Environmental Policy in 2010. • UNEP indicators of ―green economy. 3. The assessment of the informational content of international indices is made according to the assessment of goals and objectives of the environmental policy of the draft amendments to the Law of Ukraine On Basic Principles (strategy) of environmental policy. 4. Selection of indices of the EU and the UN to assess environmental policy under the draft amendments to the Law of Ukraine On Basic Principles (strategy) of environmental policy and their comparison with informational support and statistics from official sources of Ukraine, which are of multi-year observation. The methodical approach to indexes development is based on the conceptual requirements for harmonization of Ukrainian and international quantitative indicators according to the official information. To harmonize Ukrainian and international quantitative indicators according to the official information methodological approaches were developed to analyze the environmental policy and develop a system of indicators. Thus the proprietary methodological approaches allow to analyze the international indicators of environmental policies and harmonization of indicators OECD, EU, UN and Ukraine on environmental policy. The international indicators which we analyzed with the aim to harmonize with the Ukrainian ones are the green economy indicators of European Environment Agency, green indicators of the Organization for Economic Cooperation and Development, the United Nations sustainable development index, green growth indexes of the United Nations Economic Commission of Europe, indicators of ―green economy of The United Nations Environment Programme. Green Economy Indicators of the European Environment Agency are suspended and describe both state of the environment and the level of human impact. Green indicators of Organisation for Economic Cooperation and Development describe the problems of resources, industry and business development. Unfortunately most of the OECD indicators have no relevant equivalents among the Ukrainian ones. The indexes of sustainable sevelopment of the United Nations have the frame nature. Those ones, describing the environmental policies are detailed, but they mostly qualitative rather than quantitative. 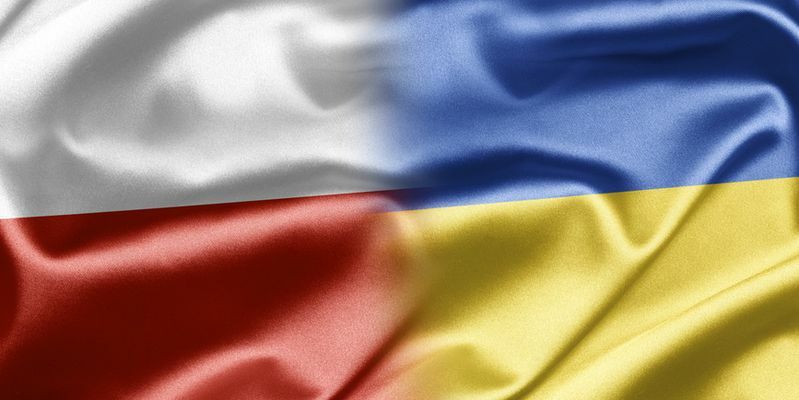 Moreover, it is difficult to find the correspondence among the Ukrainian indicators. In the result of analysis and comparison with Ukrainian indicators we suceed to determine sixteen indicators that are identical to the international ones, characterizing green growth and environmental policy. Green Growth Indexes of the UN Economic Commission for Europe is the most detailed in all aspects of environmental policy both in natural and in the industrial spheres. Indicators of ―green‖ economy of the United Nations Environment Programme describe environmental aspects and, although they are not detailed, but have maximum number of relevant equivalents among the Ukrainian indicators. The system of indicators of Environmental Policy of Ukraine was develped basing on quantitative indicators of the EU. It was suggested 16 indicators of green growth from 31 current indicators of environmental policy in accordance with applicable law of Ukraine “On the Fundamentals (strategy) of environmental policy‖, which may be the first step in measuring progress of green branch modernization of Ukraine’s economy. It becomes possible to implement the green growth indicators in the legal field of Ukraine as a part of national environmental policy evaluation system. Being aware of the shortcomings of this approach, we believe that this is the first step towards the implementation of green growth strategy in Ukrainian realities of state administration. Thus in the result of the analysis represented in the tables of the section ―Harmonization of International and Ukrainian Indicators of Environmental Policy in Accordance with the Goals of Environmental Strategy and National Plan of Actions we identified 16 Ukrainian relevant indicators of green growth and environmental policies which have correspondent indicators of UNECE and other international organizations. The analysis was conducted on the correspondence of indicators of the Organisation for Economic Cooperation and Development, the UN sustainable development index, indexes of green growth of the United Nations Economic Commission for Europe, indicators of ―green‖ economy of the United Nations Environment Programme. 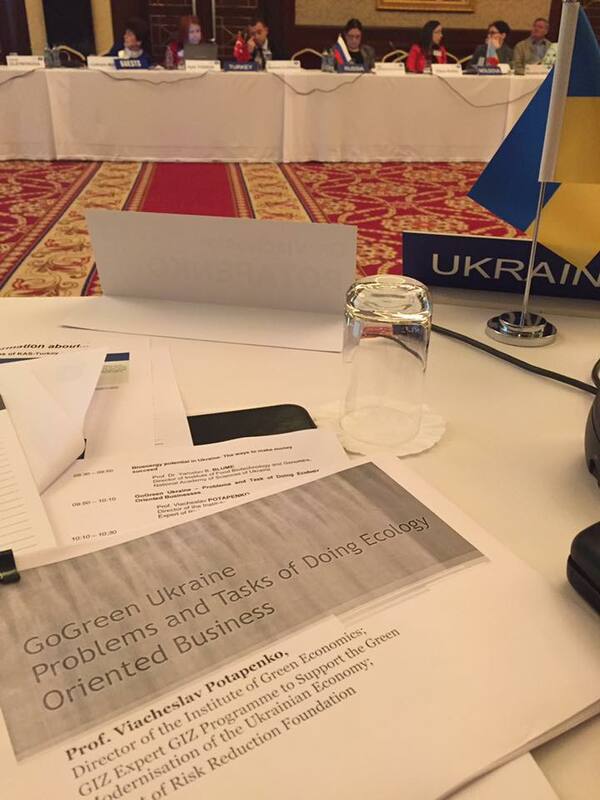 Suggested system of indicators of green economics development was officially proposed to the Ministry of Ecology and Natural Resources of Ukraine and to the Parliament for changes in the Ukrainian legislation. 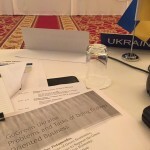 The use of existing traditional environmental and economic indicators of Ukraine harmonized with the international indicators and legalized via the regulatory framework of the Ministry of Ecology and Natural Resources of Ukraine, and due to the updates of laws by the Parliament it will be the first realistic step to the introduction of indicators of green economics development in Ukraine. 4)	Distribute information on green economy. •	Identify main hurdles and drivers for the green modernisation of economy in Ukraine. •	Support the elaboration of the drafts of official and strategic documents on green economy at the local self-government level. •	Prepare recommendations on the optimisation of public policy on green economy based on the summary of the work results of the platform participants, working groups in the regions, business assessment results and analytical materials. 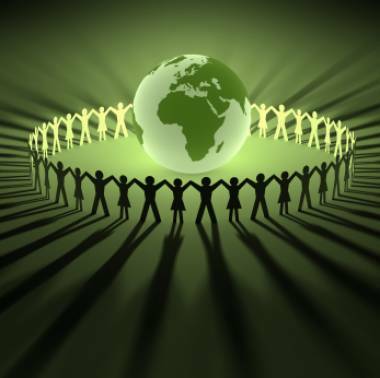 •	Distribute information on the advantages and prospects of green economy in the expert community and in the media. June 2014 and December 2015 and attended by OECD experts. framework of the Greening Economies in the Eastern Neighbourhood (EaP GREEN) project. 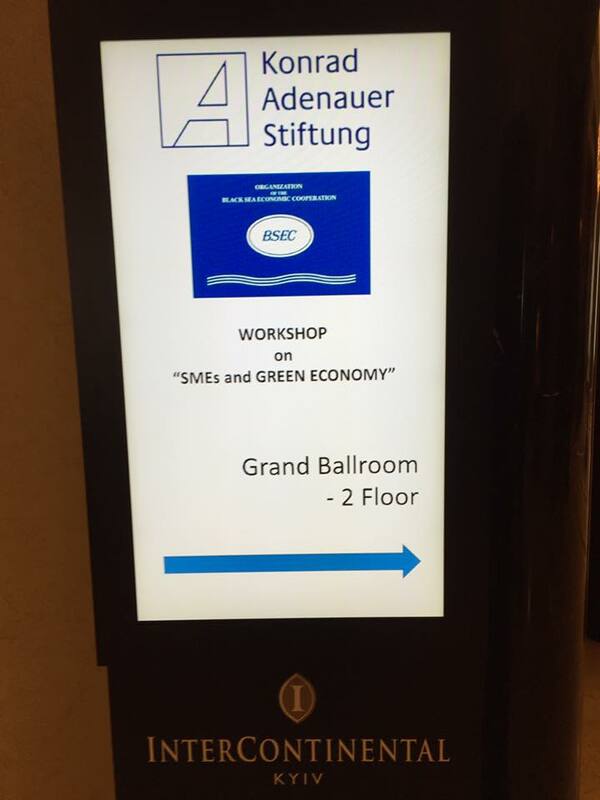 “SMEs and Green Economy” workchop of Organization of the Black See Economic Cooperation” and Konrad Adenauer Stiftung, 13-16 April 2016, Intercontinental Hotel, Kyiv, Ukraine. 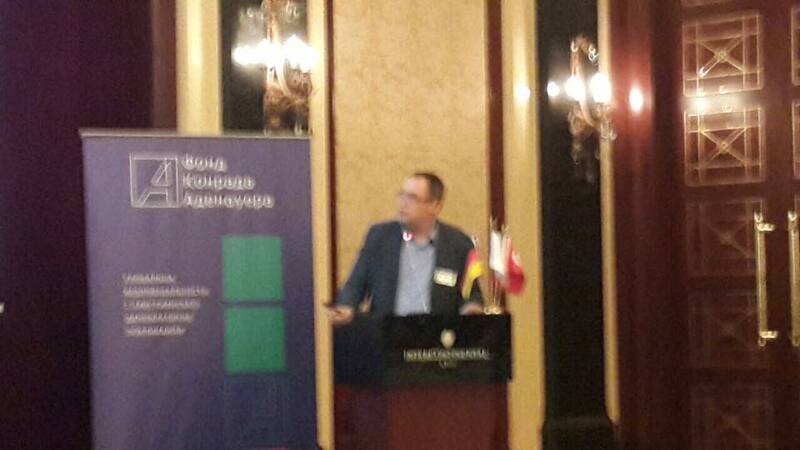 Presentation by Dr. Viacheslav Potapenko “GoGreen: Problems and Tasks of Doing Ecology Oriented Business”.